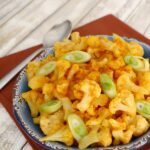 This fragrant cauliflower curry is a delicious low carb and keto side dish that will complement any Indian meal! 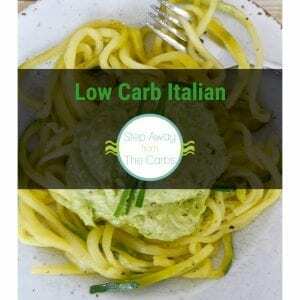 One of the benefits of this dish is that it can made entirely without fresh ingredients. While I always prefer fresh, of course, it isn’t always possible! Last minute guests? 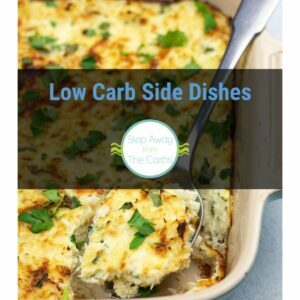 Or perhaps you’ve forgotten one of them is a vegetarian and need to cook up something quickly that they can eat. This recipe doesn’t have a lot of sauce, so it works well as a side dish to “wetter” curry dishes. If you want to turn it into a vegetarian main meal, you may like to increase the quantity of the sauce ingredients. 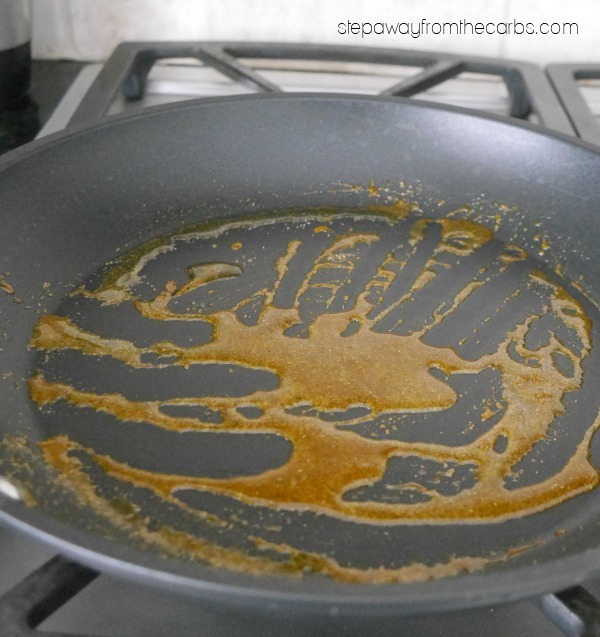 Add some oil to a large skillet and place over a medium heat. Add onion powder, ground cardamom, ground turmeric, garam masala, cumin and (if desired) cayenne. Stir to mix and cook for a two minutes. It will smell wonderfully fragrant! Add some canned tomato sauce (not ketchup!) and broth or stock (vegetable or chicken works well), and stir well to form a sauce. Add in a bag of frozen cauliflower florets, and turn to coat them in the sauce. 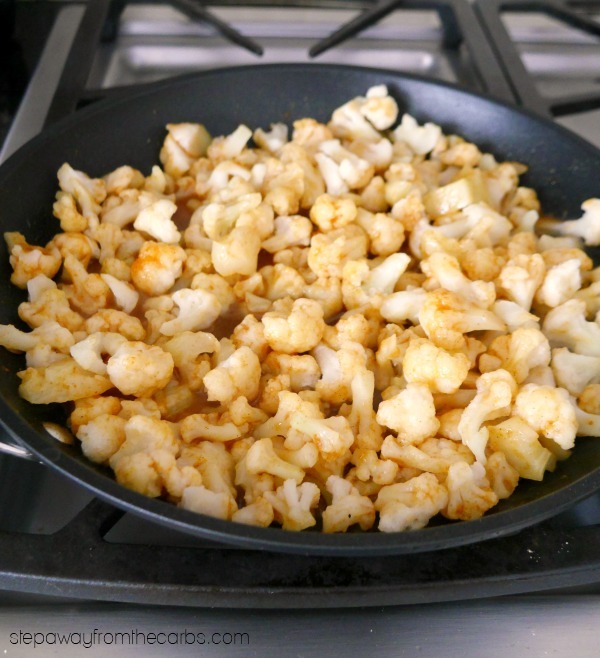 Continue cooking until the cauliflower is done to your liking. Add salt for seasoning. Serve, garnished with chopped fresh cilantro and/or sliced green onions. 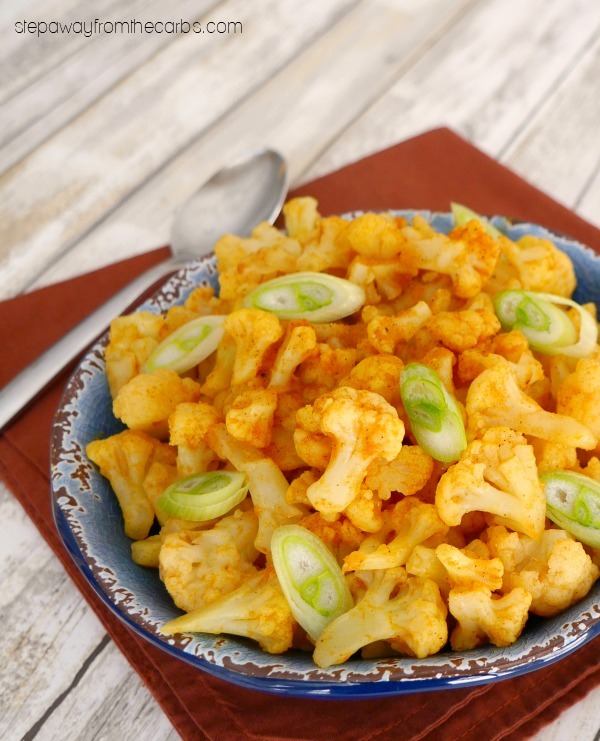 This fragrant cauliflower curry is an ideal low carb and keto side dish that will complement any Indian meal! Add some oil to a large skillet and place over a medium heat. Add onion powder, ground cardamom, ground turmeric, garam masala, cumin and (if desired) cayenne. Stir to mix and cook for a two minutes. Add some canned tomato sauce and broth, and stir well to form a sauce. Add in a bag of frozen cauliflower florets, and turn to coat them in the sauce.